Two of the “hot button” wind farms of 2010 are headed into the new year with continuing local rancor, despite conciliatory talk from authorities in each town when neighbors began to raise noise issues a year ago. The DEP ruled that recordings paid for by local residents suggest the turbines are “likely to exceed” night time noise limits of 45dB when the wind speed is higher at the top of the turbines than the bottom; the recordings found noise levels up to 47dB. George Baker, CEO of Fox Island Wind, the local LLC formed to build the turbines, notes that FIW’s noise consultant “absolutely doesn’t agree” with the finding, suggesting that ambient noise contributions to the overall sound mean that the turbines themselves are operating at just under the acceptable noise limit. 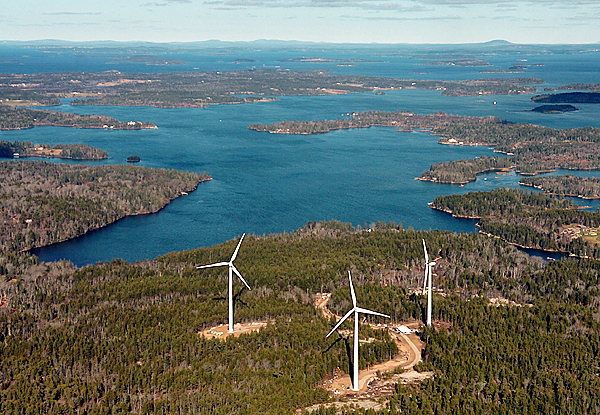 The DEP gave FIW until January to submit an operational plan that will slow the turbines when wind conditions match those during the recordings. UPDATE: Check out this comprehensive article on the Oregon health impact assessments and wind turbine noise in general, published in early 2011. While the Health Impact Assessment will “use the best available science to evaluate public health risks,” the Oregon process is also including anecdotal reports from neighbors, such as those received in these listening sessions. A limitation of most previous state and industry-funded health impact reports has been that they considered only “direct, causal” impacts: that is, their focus was narrowed to studying previous research to address the narrow question of whether the sound levels being experienced can directly cause physiological symptoms to appear. It is very likely that many of the reports of health problems, such as headaches, dizziness, and the like are indirect effects of sleep disruption or stress caused by moderate levels of audible wind farm noise at relatively close ranges, and it’s promising that Oregon is taking into account the actual experiences of wind farm neighbors who have been affected. Jae Douglas, Oregon Public Health’s moderator, said the most frequent wind-farm concern she’s heard is about stress. Her office is charged with writing an assessment of any health impacts from turbines for consideration by the siting council, Oregon Department of Energy and county commissions — agencies that make the decisions on wind-energy projects. A draft will come in March and the final assessment in June. You can stay current on the process at this Oregon DHS website. Certainly, given today’s increasing awareness of the effects of noise on marine life, it’s likely that environmental assessments of decommissioning activities will include consideration of their acoustic impacts. Most likely, increased noise will be relatively short-duration (in the scale of weeks or months); in regions where multiple decommissioning projects are underway at once, there may need to be consideration of the cumulative impacts. A month or so ago, new research by Aran Moody at Woods Hole was published and garnered a bit of press attention — perhaps largely because it involved squid, whose public fan base rivals that of their more “charismatic” brethren, the whales and dolphins. I’ve been meaning to post about it, but didn’t get to it. Just as well, because today, Canada’s MacLean’s magazine blogs the story just right, offering the best mix of science and why it matters that I’ve seen. The key points are that squid appear more sensitive to low-frequency sounds or pressure waves (such as that perhaps preceding the approach of a whale, rather than the echolocation clicks of dolphins), and this could mean that shipping or seismic surveys may displace squid. There’s also a chance that invasive squid species, such as the Humboldt squid decimating fisheries along the northeast Pacific coast, could be chased away with noise (oh, joy!). Check out the full post at MacLeans here. The US Fish and Wildlife Service is going back to the table to write a new EA or EIS to assess the impacts of exploratory oil and gas wells in the Baca National Wildlife Refuge in southern Colorado. After initial approvals were derailed by a lawsuit and injunction that stressed the noise impacts of drilling at Great Sand Dunes National Park, the FWS settled the lawsuit in September by withdrawing its previous approvals and agreeing to more comprehensive environmental studies. Wasting no time, the scoping meetings for the new EA or EIS took place in late October, and scoping comments are being accepted until November 10, after which FWS will begin writing a new EA; if significant impacts are found, an EIS will be produced. A pdf version of the FWS Powerpoint at the public meeting can be viewed online. Drilling operations at each of the two sites would last for 90 days; if the exploratory wells find significant potential for commercial development, further environmental analysis would precede any future activity on the Refuge. 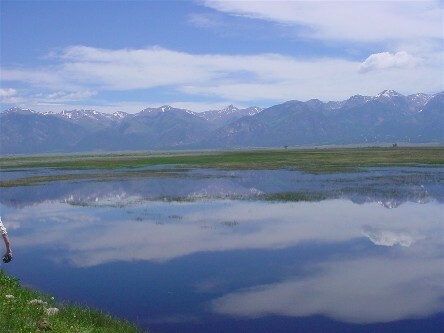 The Baca NWR was established in 2003 and is not yet open to the public; a “conceptual management plan” was released in 2005; the lack of a completed management plan was part of the reason that the earlier drilling was challenged. In September, the Arizona Game and Fish Department released a noise study for a proposed shooting range on a site that lies 1-3 miles from the boundary of Walnut Canyon National Monument, east of Flagstaff. The results have spurred the Superintendent of Walnut Canyon to express concerns to the Game and Fish Department about the effects of the noise on visitors and wildlife, in the hopes that planned berming and other noise mitigation measures at the facility can reduce noise to the point that it is inaudible in key areas.